Ongoing deal, never expires. Last validated 9mo ago . Used 6 times. Jose Franco I am validating that this deal works as described. 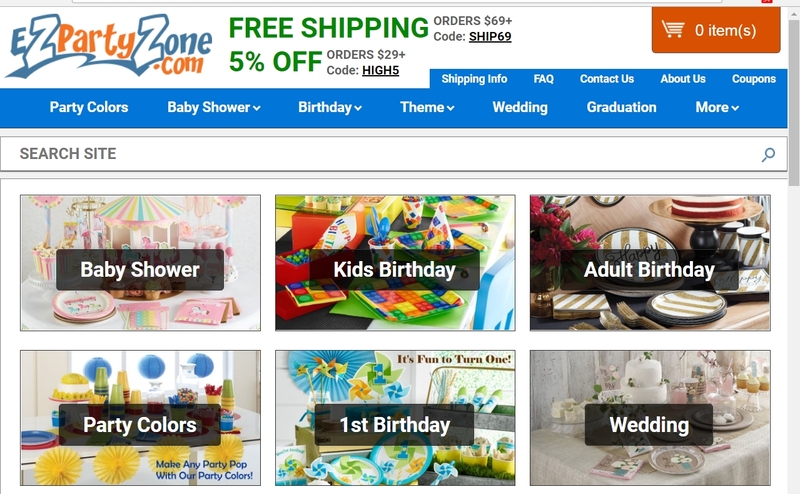 Just apply the promo code "HIGH5" at shopping cart and Get 5% Off Orders of $29 or More at ezpartyzone (Site-wide). 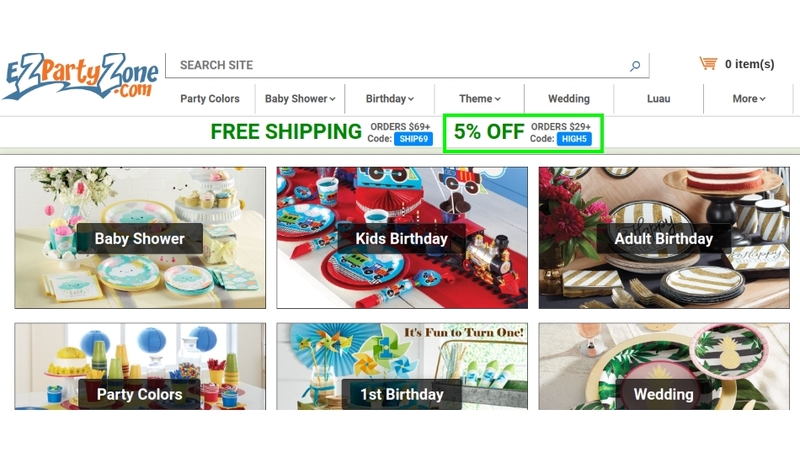 James Miller Promo code works perfectly, add your purchase to the cart and in the payment process you can easily apply the code.